Stay with a local family and enjoy their hospitality. Home stay is the most enchanting cultural experience you could enjoy in Sri Lanka. Enjoy the hospitality of the people of this beautiful island and experience their temperaments and fine cuisines. All venues are registered at the Sri Lanka Tourist Board. It's appreciable that a considerable number of trained are in the sphere of eco-tourism and they should train the rural community to promote the home stay tourism in Sri Lanka. There are many places where the culture and lifestyle of the villages are very high-flying to attract more tourism in the country. 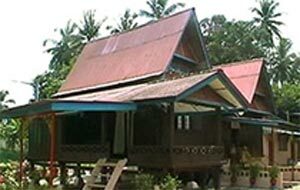 Home stay tourism generates an additional income to the villagers. 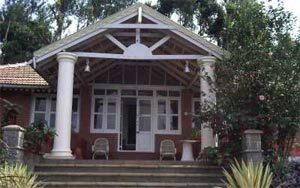 Villagers can construct cottages next to or attached to their home and promote their indigenous culture, food and entertainment to the visitors. Sri Lanka has a fabulous cultural mix, which varies areas to area and new to outsiders. These cultural differences can be promoted to visitors to the country. This will build the tourism healthier. Stay with local Family and Feel the Sri Lankan Culture, Hospitality and Learn Sri Lankan Cooking and much more. Take part in the festivities and be a member of the family, teaching the children, helping in cooking, supervising farming, relaxing with a book, collecting water from the well etc. The stay could be for any number of days and can be combined with any other tour. Perfect for those frightened of other tourists, this is simply a room in a real Sri Lanka home which the family will let out to occasional paying guests and where you really are more a friend of the family than a customer. There is only one room so you are guaranteed to have the place to yourselves, you will be the only western guests in the village and the only tourist for miles around. It is just so easy here, a chance to experience real Sri Lankan village life with little or no hassle.